The New Balance Sport Cushion Insole has ABZORB® cushioning in the heel and forefoot, a 4 part support system for foot stabilization, and an anti blister top cover. The metatarsal arch rise helps re-distribute weight and pressure and helps give relief from Plantar Fasciitis, Morton's Neuroma, and Metatarsalgia. 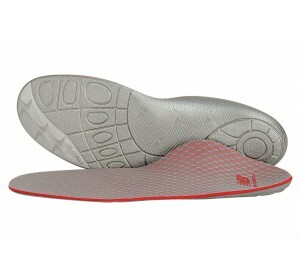 This insole will fit in all manufacturer's athletic shoes, many casual shoes and hiking boots.